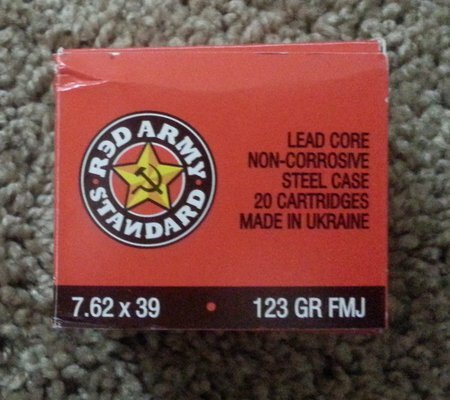 Red Army Standard 7.62×39 ammo is manufactured in the Ukraine. 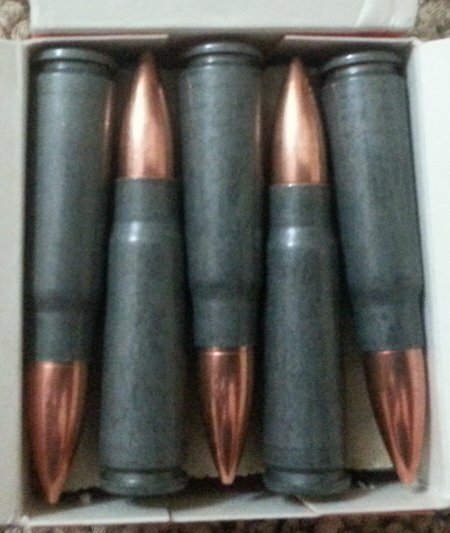 It is polymer coated steel case ammunition. 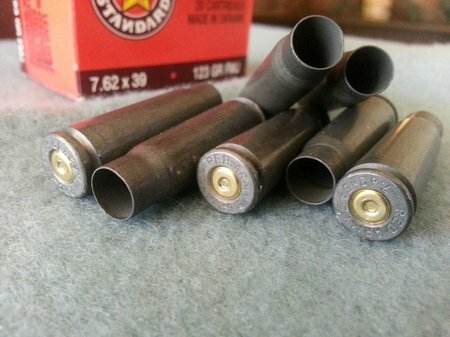 It is loaded with either steel jacketed lead core bullets or copper jacketed lead core bullets. 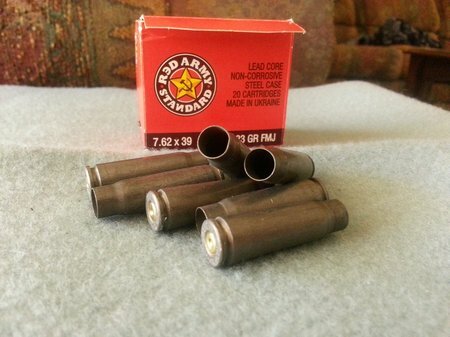 Red Army Standard 7.62×39 is packaged 20 rounds per box and cases of 50 boxes or 1,000 rounds. You can also buy battle packs of 180 rounds. 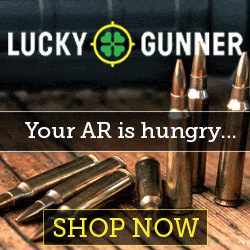 Here is where I bought the Red Army Standard 7.62×39 ammo….7.62x39mm Ammo – Lucky Gunner.com. They have a great inventory and ship very fast. Great looking ammo. What else can I say? 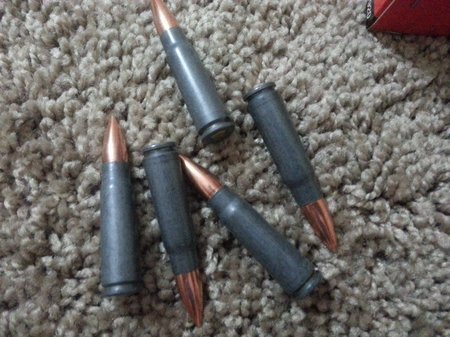 These bullets are 123 grain bimetal. 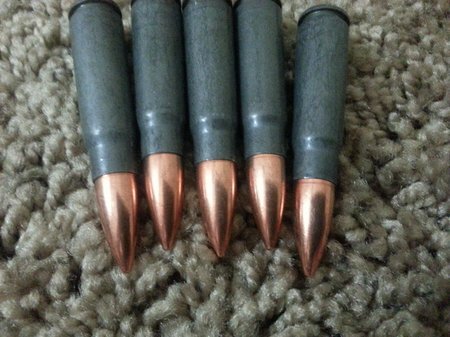 Bimetal bullets are steel jackets with copper plating. The steel jackets are soft, much softer than rifle barrels. They will not damage any firearm. So how do they shoot? 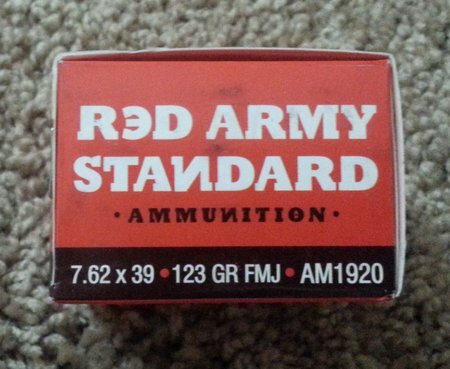 Red Army Standard 7.62×39 ammo with the bimetal FMJ bullets was 100% reliable in my Zastava AK-47. Great stuff!!! Here are some fired Red Army Standard 7.62×39 cases. How’s that for clean burning??? These cases are very clean and so was my AK. Look at the case necks…no carbon fouling or powder residue. On youtube everyone was stating that Russian/Ukraine ammo is very dirty??? As you can see, it is NOT. 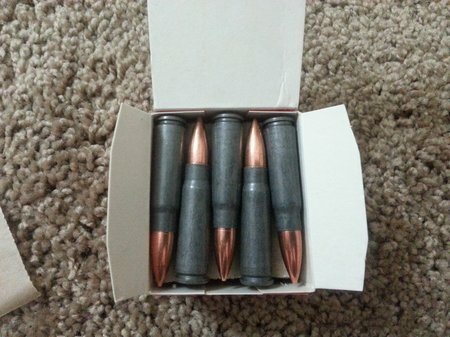 Ukraine 7.62×39 ammo is high quality and I will keep buying it. It’s reliable, clean burning and cheap. Unbelievable quality for such a low price. This entry was posted in 7.62x39 by admin. Bookmark the permalink.